The new 2018 Ram 3500 is an incredible vehicle and an absolute asset when you need to get hard work done. Ram 3500 possesses a 5.7-Liter V8 HEMI VVT engine that generates 383 horsepower and 400 lb.-ft. of torque. Fully equipped, the 3500 can tow your most demanding loads up to 30,000 pounds. Any Ram 3500 can be outfitted with a regular cab or crew cab. Choose between a 6.4 ft. or 8 ft. box. 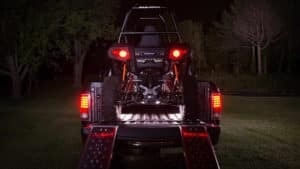 You can also decide to add on all wheel drive or even a 6.7L Cummins Turbo Diesel engine, which adds versatile and rugged utility to the 3500. Boerne Dodge Chrysler Jeep Ram is pleased to present the daring Ram 3500 to San Antonio. Ram’s engineers made some great design decisions when they crafted the 3500. The body of the 3500 is stout with a substantial profile. 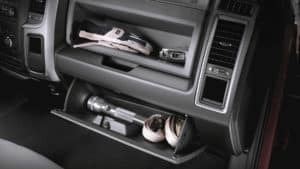 Ram has a number of available features for the 3500 that ensure that the tools and gear to get the job done are always close at hand. Choose the optional Max Tow Package to push the 3500’s fifth wheel towing capability to a maximum 30,000 pounds. 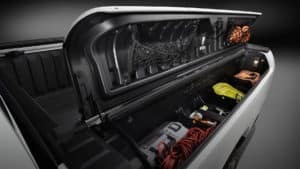 If you bring a lot of gear to the jobsite, the available Rambox cargo management system is lockable, drainable, and built to last. All Ram 3500’s are incredibly functional, but depending on the trim you choose they can also be very premium as well. The Tradesman 3500 includes a six-speaker radio system, automatic quad-halogen headlamps, and a 3.5 inch digital cluster display. The SLT 3500 is stylish with its chrome front and rear bumpers, SiriusXM Satellite Radio, and six passenger capacity. 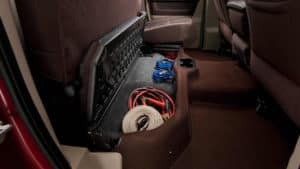 The Ram Big Horn package boasts premium cloth 40/20/40 split front bench seats, a 10-way power driver’s seat, and a practical 115-volt power outlet. 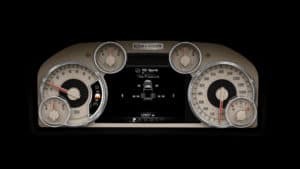 The Ram Laramie trim has some great premium details like a front and rear park assist system, Uconnect 4C with an 8.4 inch touchscreen, and an upgraded driver information cluster. 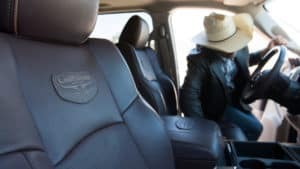 The Laramie Longhorn is the most sleek 3500s because of its leather-wrapped steering wheel with wood accents, an upgraded center console with wooden accents and badging, and a unique Ram grille. Finally, the Limited trim sports the class-exclusive lockable cargo management system, leather heated and ventilated front buckets seats, and remote keyless entry. If your current vehicle needs an update, visit us Boerne Dodge Chrysler Jeep Ram. We are a full service vehicle dealership. 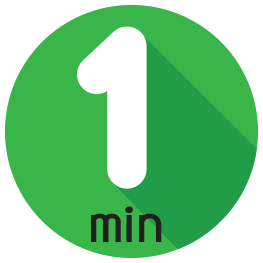 We strive to make the vehicle purchasing or leasing process simple and straightforward. 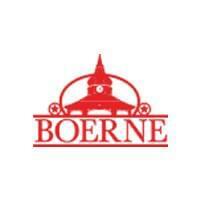 Visit our headquarters in Boerne, Texas today to see the Ram 3500 and our entire vehicle lineup. The people of Texas, from San Marcos, San Antonio, Bandera, and beyond, appreciate our great selection, service department, and competitive prices. The bold Ram 3500 is more than just a pickup. Experience the 3500 difference today!